The new Honda HR-V is the most sophisticated subcompact SUV to date from Honda. Sportier exterior styling is complemented by upgrades to the interior design and materials, as well as a broader range of advanced technologies. The HR-V continues to offer the space and versatility of an MPV and now benefits from enhanced driving dynamics and a wider choice of fuel-efficient engines. The HR-V’s overall design concept combines the elegance and fluidity of a coupé with the utility and strength of an SUV. The HR-V’s coupé-like body shape creates a dynamic and sporty look, complemented by rear door handles integrated within the C-pillar. Distinctive, sharply-defined lines run the length of the body, giving the HR-V a purposeful, forward-leaning stance and a sense of movement and agility, even at a standstill. Strongly sculpted lower body panels are enhanced by deeper air intake sections in the front bumper that house circular fog lights, while the headlights now have projector lenses with LED daytime running lights as standard. At the rear, a dark chrome garnish across the tailgate mirrors the trim at the front, and the rear lights sit within dark lens casings. For the new HR-V Sport model, a high-gloss black chrome panel replaces the darkened chrome of the standard 2019 HR-V across the front. An exclusive black honeycomb finish is also applied to the front grille garnish, which carries over into the fog light surrounds. The HR-V Sport is uniquely fitted with a dynamic styling pack, which comprises a slim front splitter, side skirts, wheel arch mouldings and a more aggressive rear bumper – all finished in black. It also includes black door mirror caps, dual exhaust pipes and 18-inch alloy wheels in a unique design. Sport grade cars are equipped with full LED headlight and tail light clusters, enhanced at the rear with a dark ‘smoked’ effect and black inner bars, as well as a black chrome garnish across the tailgate. The HR-V Sport model to cater for owners who want a more dynamic driving experience from their subcompact SUV. As part of an upgrade package that aims to optimise the balance of body rigidity, suspension control and steering feel, the HR-V Sport is equipped with bespoke 'Performance Damper' technology. The damper system, integrated at the front and rear of the car, is engineered to counteract the relative lateral and torsional movement through the chassis. It keeps the car flatter through corners, enhances stability during sudden lane changes and reduces vibration over uneven roads. 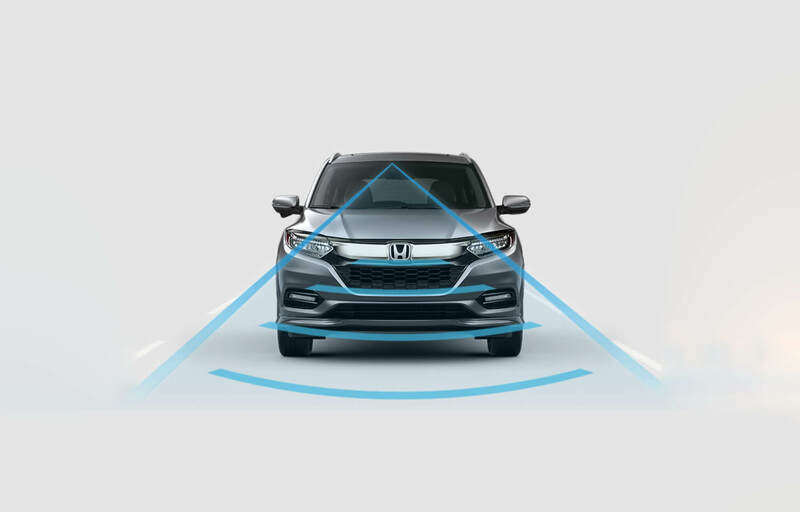 Mid and upper grade models will feature Honda’s Advanced Driver Assist System, which uses radar sensors, plus forward and rear facing cameras, as standard. This comprehensive suite of active safety technologies includes: Forward Collision Warning, Traffic Sign Recognition, Intelligent Speed Limiter, Lane Departure Warning and High-beam Support System. The Honda HR-V’s interior layout is tailored to the dynamic and demanding preferences of the modern and discerning consumer. The latest model remains as versatile as ever, including the carry-over of Honda’s innovative Magic Seat system. The Magic Seat system allows each of the 60:40 split second-row seats to adopt numerous configurations to maximise the people and load carrying versatility of the cavernous interior. The Magic Seat system can adopt one of three ‘modes’ from the standard seating position. Occupants will appreciate the class-leading cabin space, with headroom, legroom and shoulder room in the front and rear so generous that they match the dimensions more commonly found in larger vehicles. 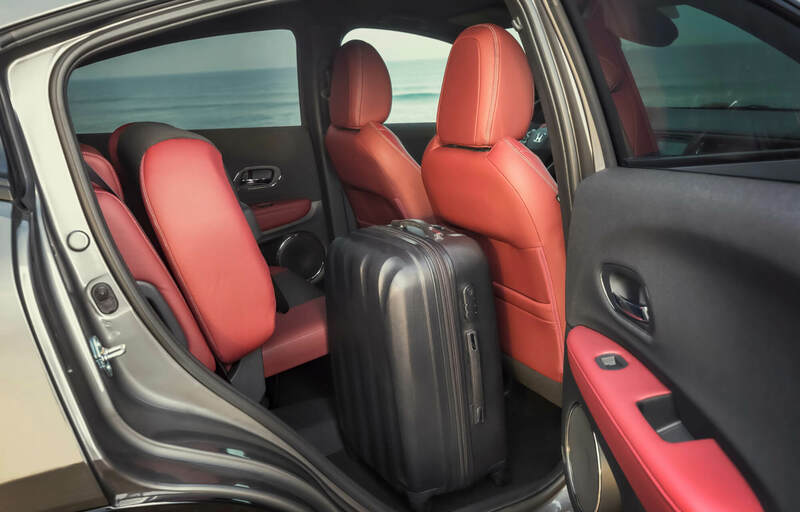 The cargo bay also offers impressive space with a capacity of up to 470* litres with the rear seats upright, increasing to up to 1,103* litres with the rear seats folded. The HR-V’s wide tailgate opening (1,180 mm) and low loading height (650 mm) ensure that the capacious cargo space is easily accessible. Travelling long distances in the HR-V is a comfortable and fatigue-free experience for the driver and passengers thanks to Honda engineers’ determination to provide this model with class-best levels of refinement. Furthermore, the 2019 HR-V sees the introduction of redesigned seats for the driver and front passenger, which incorporate changes to the seat cushion and back rest, providing enhanced overall support – especially for the shoulder area. 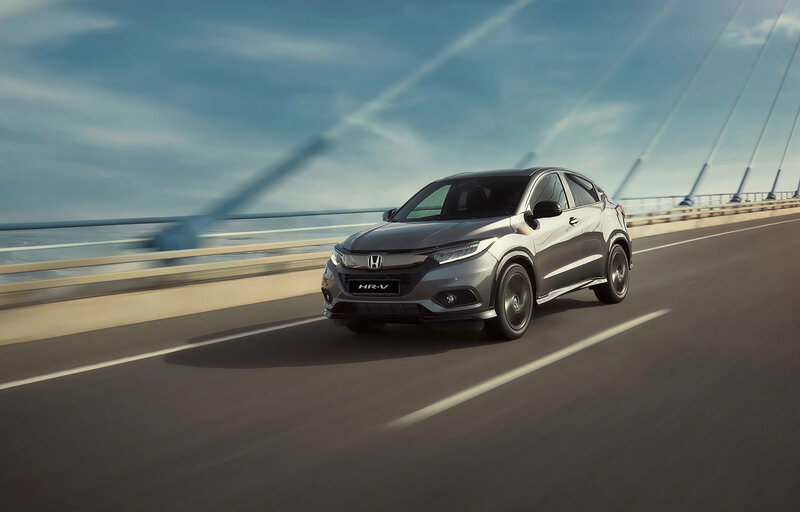 Seamless connectivity and infotainment is provided in the HR-V by the Honda Connect system, first seen in Europe on the 2015 CR-V. It is fitted as standard on the mid and upper grade HR-V, and as an option on the base model. Easy and intuitive to use, the system is accessed through a seven-inch touchscreen in the centre of the dash. The display can be customised to suit individual preferences, with two different ‘skins‘ to choose from, allowing users to make the system their own. Colour-coded icons ensure navigating through menus is quick and simple. The Honda Connect system comes with pre-installed apps, with others available for download from the Honda App Centre for owners to personalise their connected experience. The pre-installed ‘Aha’ app allows effortless access to thousands of audio stations – spanning music, news, podcasts and audio books – as well as social media feeds and location-based services. 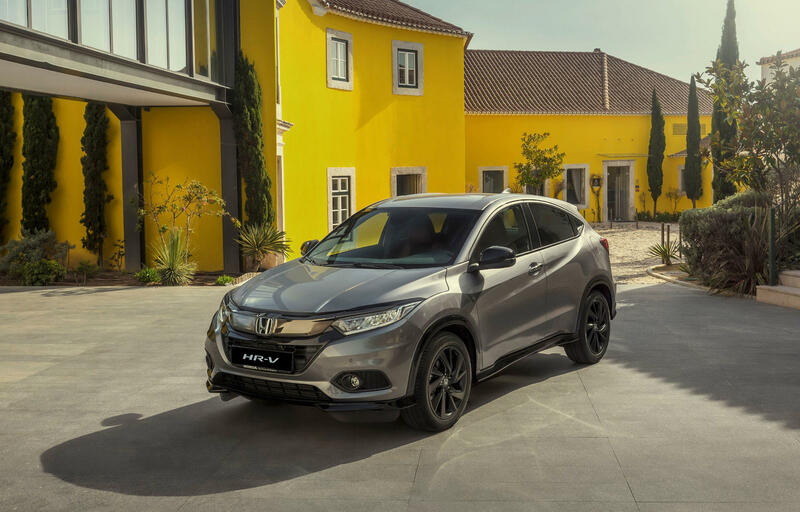 The 2019 HR-V is now available and starts from €25,395. Contact your us to find out more information, booking a test drive and whether we have any finance packages suitable for you.